Double the number of handmade artists! 1 p.m. to 5 p.m. (despite what it might say elsewhere) All ages. Free to browse! Join us for what could be the last Crafternoon ever (see here for more info on the hiatus.) 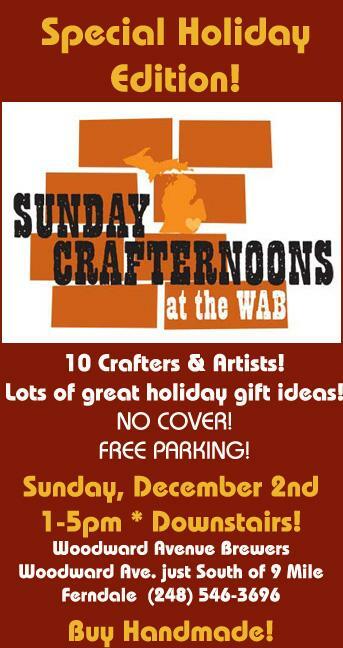 Click the flyer for more info on the December Crafternoon.